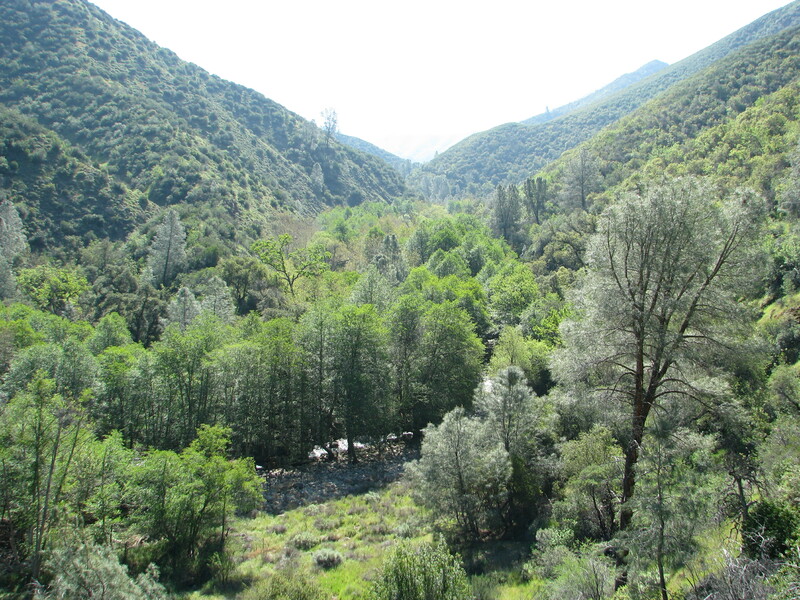 If you’re looking for an introduction to the backcountry trails of the Los Padres National Forest then the Manzana Trail along Manzana Creek in the San Rafael Wilderness may be the answer. The trail towards Manzana Schoolhouse is well maintained, easy to follow, mostly level and this time of year has a number of swim holes along the way. And while the hike to Manzana Schoolhouse is best done as part of a backpacking trip, the trail itself, which includes several trail camps, makes for some great exploring. 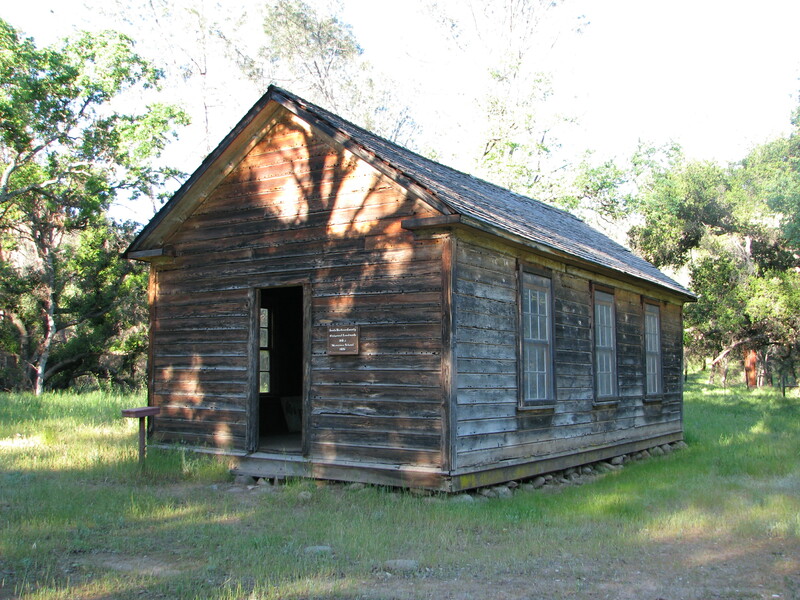 The hike to Manzana Schoolhouse is about 16 miles roundtrip. There are several ways to visit the area: day hiking, car camping, backpacking and even by horseback, although no bikes are allowed within San Rafael Wilderness area. To get to the trailhead from Santa Barbara take State Route 154 past Cachuma Lake and turn right onto Armour Ranch Road and then right onto Happy Canyon Road. 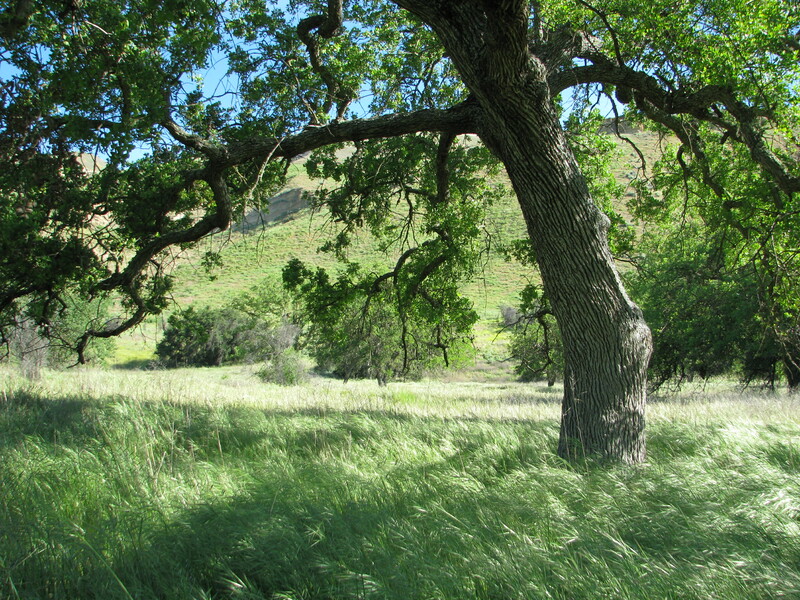 Happy Canyon Road is a pleasant drive through the ranch country of the Santa Ynez Valley. The road then climbs out of the valley where it meets Figueroa Mountain Road. From here it continues north and becomes Sunset Valley Road. The road is paved except for a small portion and the entire drive from Santa Barbara to the trailhead is about an hour and 45 minutes. The trail begins just as the road meets the Manzana Creek and there is plenty of parking nearby. You’ll know if you’ve gone too far as the road dead ends a half mile later at Nira campground. From the trailhead the Manzana Trail rides above the creek for the first mile and then drops back down and crosses the creek at Potrero Camp. After this first crossing the trail branches with the Potrero Trail heading up to Hurricane Deck, while the Manzana Trail continues downstream towards Manzana Schoolhouse. From this point on the Manzana Trail follows and crosses the creek numerous times and so one approach is to wear shorts and shoes that you don’t mind getting wet. 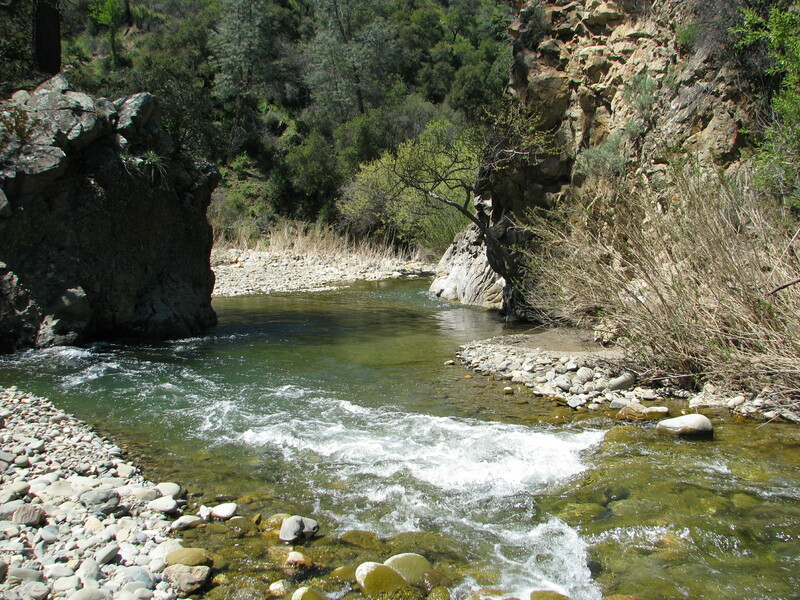 The Manzana Creek supports a rich community of riparian plants, including Cottonwood, Willow, and Sycamore with Digger Pines and chaparral mixed in. At about the 3-mile mark one arrives at Coldwater Camp. This is a popular overnight backpacking destination. At Coldwater, as with Potrero and Horseshoe Bend, there are two trail camps each with a fire ring and picnic table. Water can usually be found at Coldwater even in dry years. A mile later one arrives at Horseshoe Bend, which represents an old turn in the river that is now a meadow, the river having cut a new course. It’s here in the spring that one finds a great swim hole. Horseshoe Bend, makes for a good day hike destination as it’s 8 miles roundtrip from the trailhead. At the 6-mile mark the Manzana Trail is joined by the Sulphur Springs Trail. A half-mile later one arrives at Dabney Cabin, which was once a fishing retreat, built by Charles Dabney around 1914. From here it’s roughly 2 more miles to Manzana Schoolhouse. Manzana Schoolhouse, which sits on a bluff overlooking the confluence of Manzana Creek and the Sisquoc River, is a historic one-room schoolhouse that was built in 1894 and served as many as 25 students. The students were the children of the homesteaders that at one time lived along this stretch of the Sisquoc River. There are 6 nearby campsites, each with a fire ring and picnic table. Across the Sisquoc River on the opposite bluff one can find the ruins of the Well’s homestead. Regardless of how far you hike you will see some of the rich beauty of the Santa Barbara Backcountry and find numerous places to stop and take in the scenery. This article originally appeared in section A of the April 23rd, 2011 edition of the Santa Barbara News-Press. Hi James – great blog and photos! 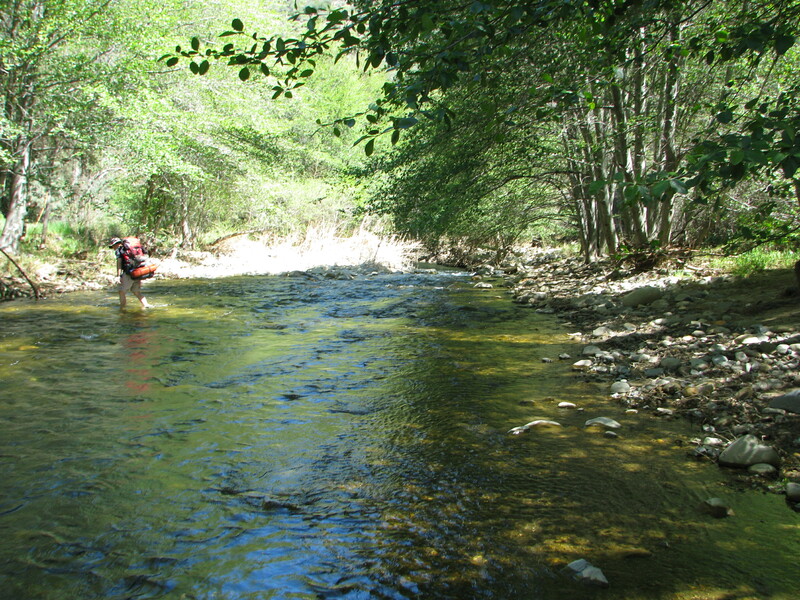 Would you be willing to share one of your Manzana Creek photos for our website– http://www.calwild.org ? Thank you! Hey Laurel, you can reach me at jwapotich@yahoo.com.